Floridians will vote Nov. 4 on a constitutional amendment supporters hope will help preserve working waterfront — public marinas, boatyards, dry stacks, launch ramps, boatbuilding, commercial fishing and other marine-related facilities — by giving these properties a tax break. “If we start closing down marinas and bait houses and other working waterfront because they can’t afford the property taxes, then we’ve done a terrible disservice to our economy” and to Florida’s heritage as well, says Rep. Dennis Ross, R-Lakeland, chairman of the Save Our Waterfront political committee. Ross remembers spending vacations as a child with his grandparents in Clearwater Beach and seeing bait shops on what is now some of the priciest land in the state. He says you won’t see those bait shops there today, in part because waterfront in Florida often is valued for tax purposes at its “highest and best use,” which in most cases is as a luxury condominium high-rises. He says soaring waterfront taxes aren’t just a coastal problem. They are a problem for waterfront on Lake Okeechobee, Lake George and other popular inland waters, where marine business owners also are under the gun to convert their property to condominiums or other more profitable uses, he says. Amendment 6 would clarify state law and require county tax assessors to set the value of working waterfront at its current use instead of its highest and best use. “We’re working on a zillion different fronts to get the word out that this is good for Florida, it’s good for the public, and it’s good for the marine industry,” says Frank Herhold, executive director of the Marine Industries Association of South Florida. Amendment 6 was the top agenda item at South Florida’s 10th annual Marine Summit Sept. 24 at the Palm Beach County Convention Center. Atwater, a Palm Beach County Republican, says taxing marinas and boatyards as if they were luxury condominiums because there are expensive condos in the neighborhood makes no sense, because traditional waterfront uses don’t generate the big profits that condos do. Marina owners can’t afford to be taxed as if their marinas were condominiums. County tax assessors disagree on what the Florida constitution requires them to do. Some, like the Broward County assessor, have taken the position that it gives them leeway to assess some properties like waterfront at its current use. Others, like the Palm Beach assessor, say they must assess at highest and best use. The assessment of one boatyard in Palm Beach County rose from $30,000 in 2004 to $100,000 in 2005 to $500,000 in 2006 because it is on the waterfront, where condominium values are skyrocketing, says John Sprague, a marina owner and government affairs chairman for the Palm Beach County Marine Industries Association. 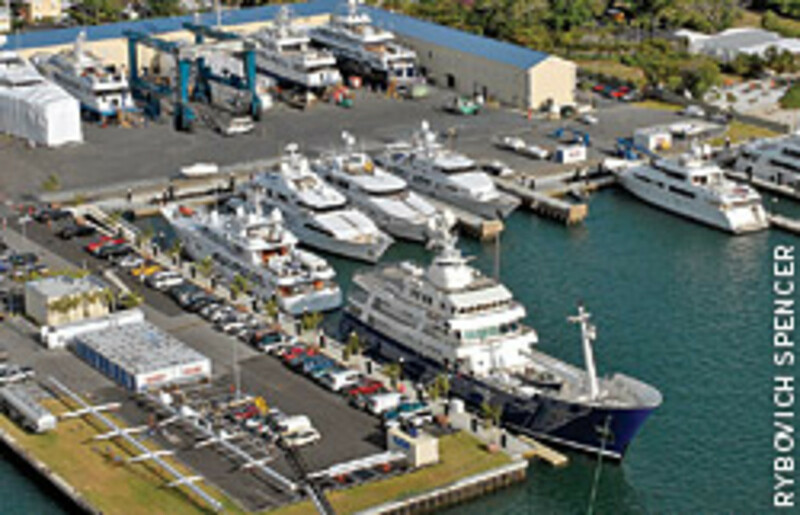 Another Palm Beach facility, Sailfish Marina, was assessed at $2 million in 2005 and $4 million in 2007, doubling its tax liability in just two years, said Marine Industries of Florida lobbyist Missy Timmins. Because traditional marine uses typically are much less profitable than high-rise condominiums, assessing working waterfront at its highest and best use amounts to “condemnation by taxation,” says Sprague. Only marinas, boat ramps and dry stacks that are open to the public and offer access to pubic waters would be eligible for the tax break. Amendment 6 would reduce the property taxes on working waterfront and thereby reduce pressure on owners of these properties to convert to condominiums, according to a February analysis by the staff of Florida’s Budget and Tax Reform Commission, which recommended the amendment along with six others. It also says local governments may have to increase mill rates on other properties to offset revenue shortfalls resulting from reduced revenues from waterfront. Though the measure has the support of Florida’s Chamber of Commerce, most tax assessors and many counties and cities, the Orlando Sentinel and Daytona Beach News-Journal both have editorialized against Amendment 6 on grounds that it is a tax exemption for a special group — and this is neither good tax policy nor a good time to be granting exemptions with big shortfalls in the state budget. But Ross says survival of working waterfront and preservation of water access to boating- and fisheries-related businesses is vital to Florida’s economy. The recreational marine industry has an economic impact of $18 billion in Florida, employs 220,000 people and is an important part of the tourism infrastructure. “The marine industry is one of the most vibrant industries in Florida,” he says. He says the logic of Amendment 6 is the same as that of an existing constitutional amendment that gives a tax break to owners of property that stays in agricultural use. It is taxed as farmland, not as a housing development. “It’s similar to greenbelting,” Ross says. Ross says arguments for the constitutional amendment are strong, but in order to pass it must receive a “super-majority” of 60 percent of those who vote. He says the issue has not gotten wide play in the media, so many voters know little about it. The industry must get the word out to boaters and non-boaters that preserving working waterfront is good for Florida, he says. The marine industry is undertaking a statewide Save Our Waterfront campaign, which in these economic times is operating on a “shoestring,” says Sprague. He says every marine business in Florida should be sending letters out to employees and customers, and getting the word out to their friends and neighbors to vote for Amendment 6. If the marinas disappear, “Who’s going to replace the dollars to do what we do?” he asks. “Government.” Taxpayers will have to pony up to build municipal marinas, he says.